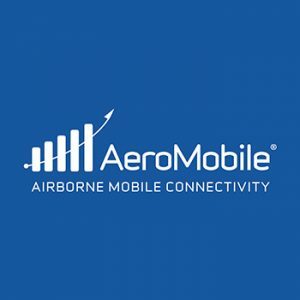 Panasonic Avionics Subsidiary, AeroMobile, a leading provider of inflight mobile connectivity, has partnered with Ooredoo, one of the leading telecoms operators in the Middle East, to make roaming in the skies of Kuwait more accessible and affordable for their local customers. In a first for a Kuwaiti mobile operator, Ooredoo Kuwait have expanded their mainstream roaming bundle, Ooredoo Passport, to now include AeroMobile’s inflight mobile phone service as an additional destination. As a result, Ooredoo customers will now be able to surf the internet, check emails and stay social at the same cost as all other Passport destinations when flying on any airline and aircraft connected by AeroMobile’s network. AeroMobile inflight mobile services are available on 22 airlines worldwide including Kuwait Airways, Emirates, Turkish Airlines, Qatar Airways and Etihad Airways in the Middle East. Kevin Rogers, CEO of AeroMobile, says: “I am extremely excited to sign this new roaming deal with one of the Middle East’s leading Operators. It underlines the continued growth and importance of inflight mobile connectivity to both airlines and mobile operators. So if you’re an Ooredoo Kuwait customer; don’t forget your Passport next time you fly!